Dr. Tarlo is an Oral Surgeon with extensive surgical experience. Dr. Tarlo is a Diplomate of the American Board of Oral and Maxillofacial Surgery. He graduated from New York University College of Arts and Science with honors and a BA in chemistry in 1998. He then continued his education at New York University College of Dentistry, where he obtained Doctor of Dental Surgery Degree and was admitted into the OKU Dental Honor Society upon graduation. During his time at the College of Dentistry, he served in the student government as VP of his class and was one of the few students selected to be a part of the oral surgery concentration program during his senior year. Upon completion of dental school, Dr. Tarlo went on to pursue rigorous Oral Surgery training at Kings County Hospital Center, a regional Level 1 Trauma center. He obtained a degree of Medical Doctor from SUNY Downstate Medical School, had completed a year of general surgery internship, and served as chief oral surgery resident during his last year of training in 2002. During the 6 years of training, Dr. Tarlo received extensive training in managing facial trauma, reconstructive surgery, pathology, dental implants and out-patient anesthesia. 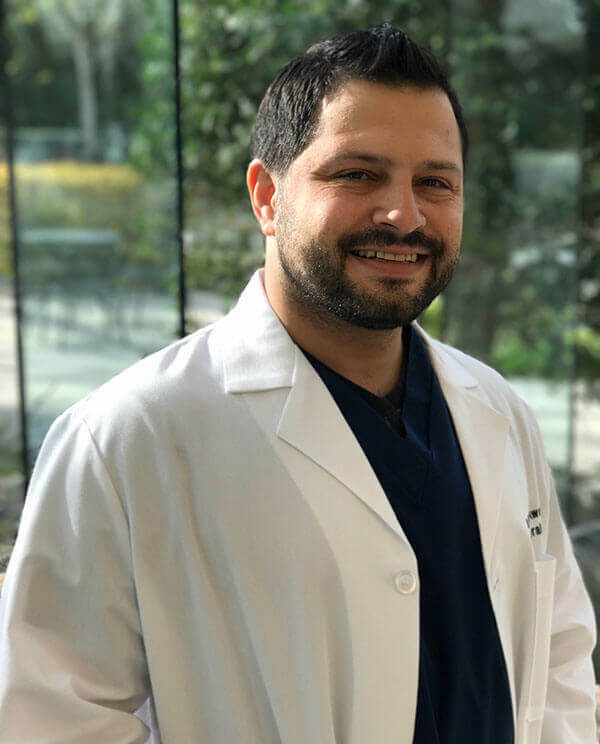 He currently holds a position as an attending at Kings County Hospital Center, where he participates in the didactic and clinical training of residents. He also served as a Mock Board Examiner for 3 years. Dr. Tarlo is trained and experienced in the full scope of oral and maxillofacial surgery, with an emphasis on dental implantology, advanced bone and soft tissue reconstruction techniques, and outpatient anesthesia. He utilizes the most recent data, techniques and innovations, while providing his patients with a comfortable surgical experience. In his spare time, Dr. Tarlo enjoys traveling, 3D design and 3D printing.